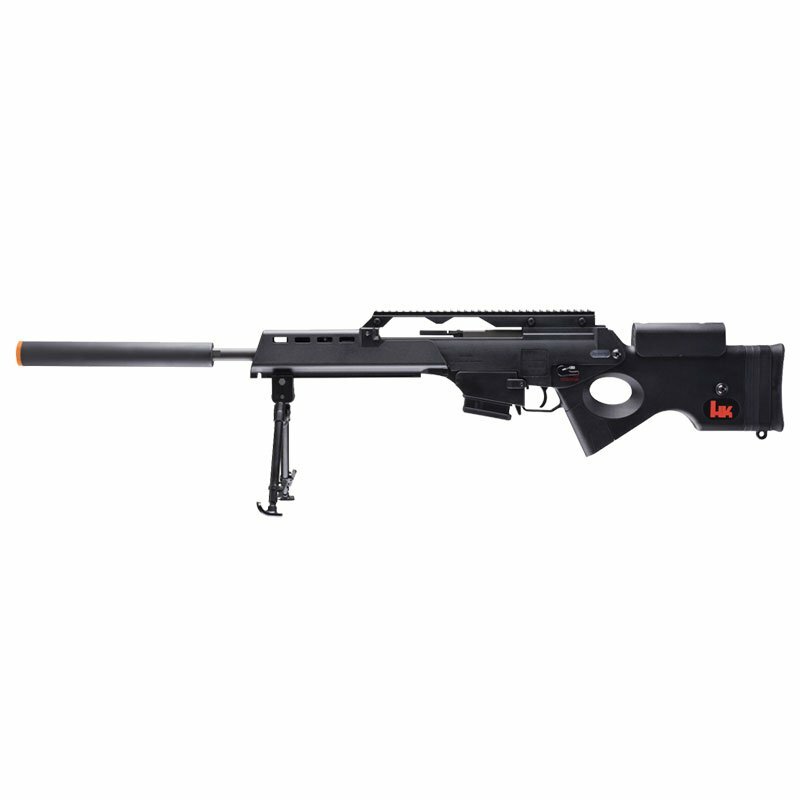 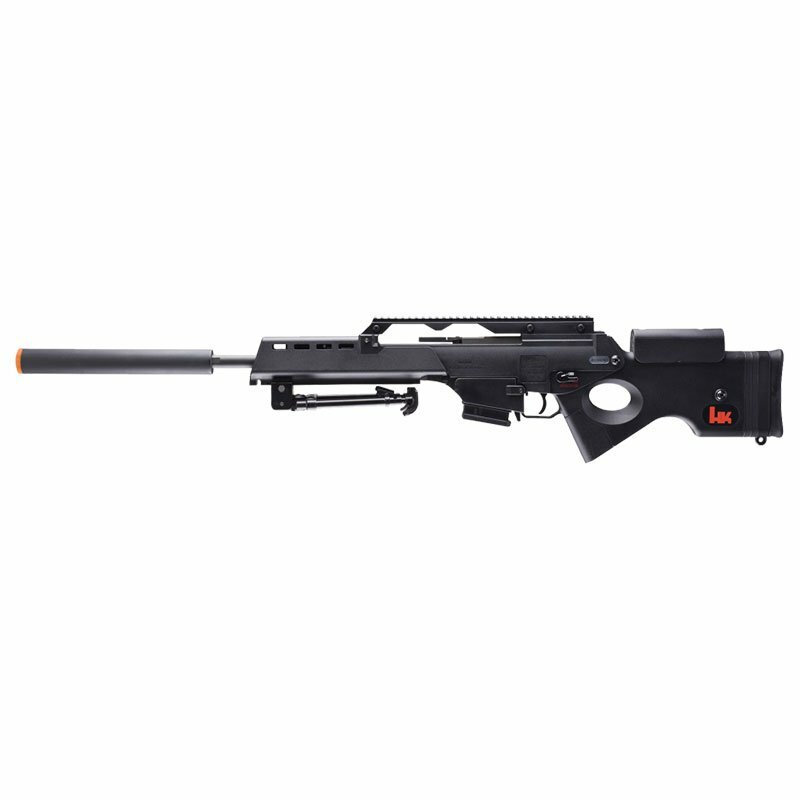 The HK SL9 AEG Elite Airsoft Gun – Black is manufactured by ARES, with a full metal Version 3 gearbox, a high torque motor, and an integrated mock suppressor which covers its long precision inner barrel. 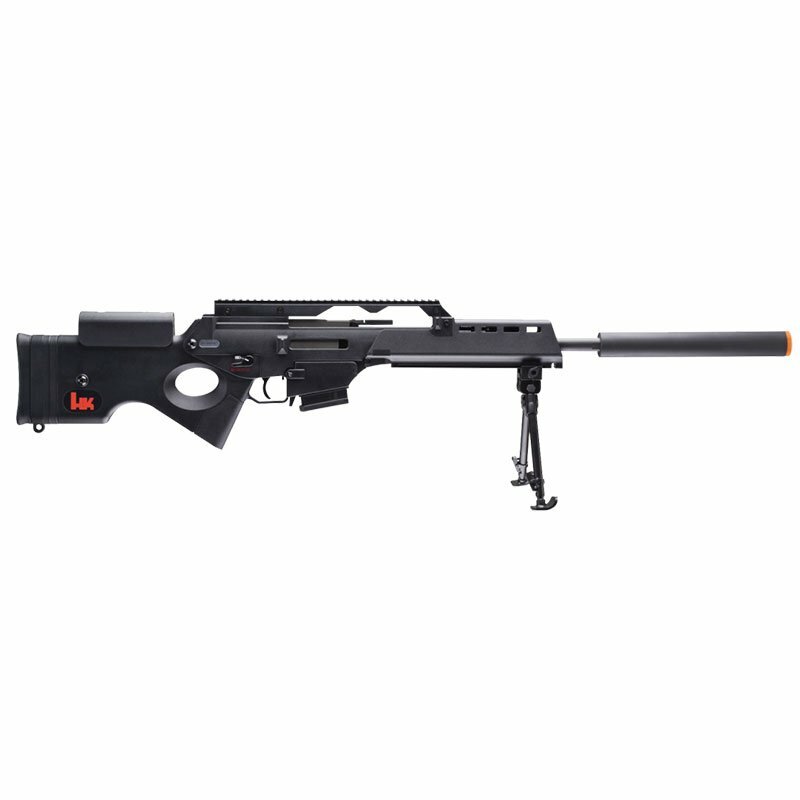 The HK SL9 features both semi and full auto fire modes, allowing you to take single shots when sniping but also giving the player the chance to lay down heavy cover fire when needed. If these features weren’t enough, the HK SL9 also features the electric blowback system, providing a snappy response after each shot.The HK SL9 features a nylon polymer stock and handguard, which make the rifle both incredibly durable and amazingly lightweight. 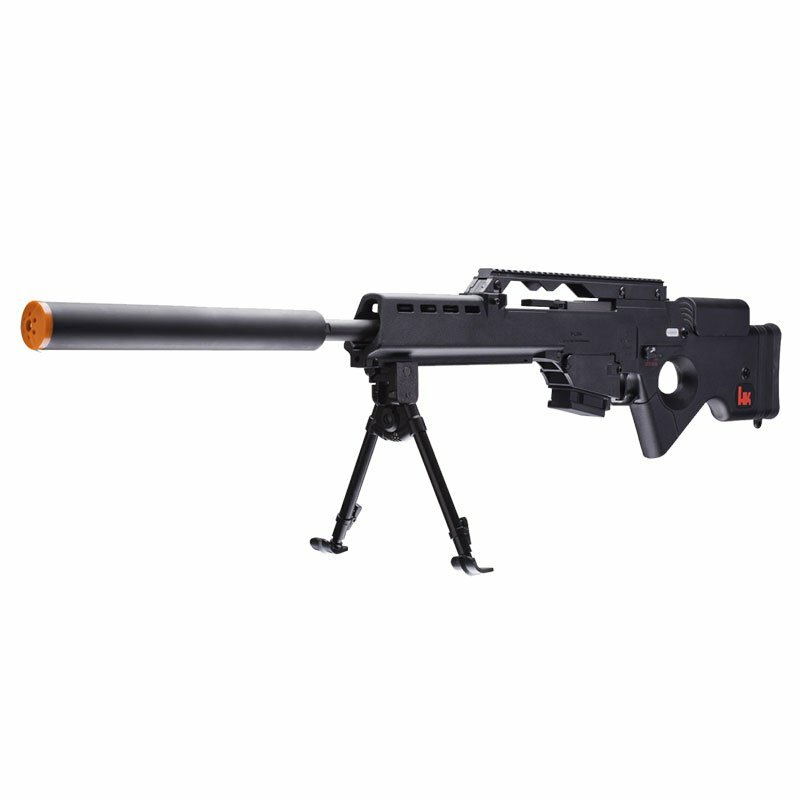 Optics are easy to mount and use as the rifle includes a 12 in sight riser and bipod attachment for stabilization. 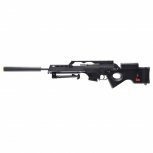 The HK SL9 is one of the larger rifles on the market, its adjustable cheek risers and stock extensions allow nearly any size player to comfortably use this airsoft rifle.